Every day in the United States, innocent people – people who are in fact trying to improve their health – are injured by the carelessness or negligence of a healthcare provider. Consumer Reports tells us that more than 400,000 deaths a year are associated with medical errors in hospitals – a disturbingly high figure. The number of hospital mistakes responsible for serious but non-fatal injuries is even higher. In the state of New York, can a medical malpractice law firm help you seek legal recourse if you are injured while you’re receiving care or treatment in a hospital? For those seeking justice in this state, the answer is yes. Hospital negligence leading to severe injury or death includes malpractice by doctors, nurses, physician’s assistants, nurse’s aides, and even technicians who work for the hospital. Hospital negligence includes surgical errors and much more. It also includes improper supervision, insufficient staffing, and misdiagnosis – the failure to conduct or to read accurately the results of medical tests. When any of the people who work at a hospital are responsible for medical malpractice, in most cases the hospital itself can be named as a defendant in a medical malpractice lawsuit. Surgical mistakes make the headlines – when the wrong organ or limb is removed, for example – but most malpractice incidents aren’t associated with surgeries. Most medical malpractice cases arise from misdiagnosis. Approximately twelve million adults are misdiagnosed in emergency rooms, hospitals, and doctors’ offices every year in the United States. Misdiagnosis, and ordering the wrong medication or treatment on the basis of a misdiagnosis, is the most typical way that a patient in New York can be injured by medical malpractice. Of course, there is never any reason for any hospital to put patients at risk by offering negligent or inadequate diagnosis, treatment, or care. Hospitals are regulated and licensed under a number of state and federal laws, and hospitals must adhere to policies, standards, and procedures that enhance and protect the health and well-being of their patients. When a patient suffers injury or harm because a hospital’s employees have been negligent, the hospital may have legal liability. WHEN ARE HOSPITALS LIABLE FOR MEDICAL MALPRACTICE? None of us are perfect. All of us make mistakes frequently, but for the most part, those mistakes don’t injure anyone. Similarly, not every mistake that a hospital employee makes is necessarily negligence or malpractice. In most cases, a hospital is liable in the legal sense only if an employee’s negligence or incompetence results in injury to a patient. A medical malpractice lawsuit may be the proper course of action if a nurse, an aide, a technician, or any other hospital employee injures a patient by negligently performing or failing to perform a job-related task. Hospital negligence includes emergency room errors. ER staffs work in a stressful, fast-paced situation, often caring for the most critically-injured incoming patients. ER personnel are trained in triage – the simultaneous assessment of several persons’ medical conditions in order to provide timely care where it is needed most. An incorrect assessment can delay someone’s diagnosis and treatment, exacerbating a serious condition or even causing a patient’s death. Some patients have waited in ERs for hours with their health clearly deteriorating as they wait. 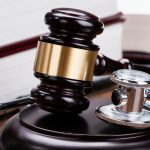 WHAT LEGAL RECOURSE DOES A MEDICAL MALPRACTICE VICTIM HAVE? In New York City, when someone is injured by hospital negligence, that victim should seek the legal advice of a Bronx medical malpractice attorney who has experience representing the victims of hospital negligence and challenging hospitals in court. A good medical malpractice lawyer can identify violations of a hospital’s policies and regulations by interviewing hospital personnel, obtaining records, and thoroughly investigating negligence claims. The best medical malpractice attorneys additionally help their clients to obtain the quality medical healthcare they need after an incident of medical malpractice. When someone is victimized by medical malpractice at a municipal hospital in New York City, a medical malpractice claim must be handled somewhat differently from a claim against a private hospital. 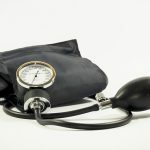 Municipal hospitals are governmental entities administered by city officials – the New York City Health and Hospitals Corporation (HHC) – so the procedures for legal disputes are slightly different. Each year, HHC facilities admit about 225,000 patients, and they handle approximately one million emergency room visits. HHC facilities treat nearly twenty percent of all New York City hospital patients and a third of those who visit New York City emergency rooms. The HHC operates eleven hospitals, six diagnostic and treatment centers, five nursing homes, and more than seventy community-based clinics and primary care sites. When healthcare providers are seeing that many patients, some mistakes are inevitably going to happen. WHAT ARE THE RULES FOR SUING A PUBLIC HOSPITAL IN NEW YORK? An adult who is injured at a New York City municipal hospital has ninety days from the date of the injury to file a medical malpractice claim. Claims for injured children, however, may be filed until three years past the victim’s 18th birthday, but legal action must still take place within ten years from the date of the malpractice incident and injury. Any legal action against a municipal hospital must be filed in the county where the medical malpractice incident allegedly occurred, and a “Notice of Claim” must be filed before a victim can sue a public hospital. This notifies the HHC that a claim is being made and allows the HHC time to review the details of the claim. Healthcare providers at both private and public hospitals, in emergency rooms, and at all other healthcare facilities owe a duty of care to every patient. When the negligence of a doctor, a nurse, or any other healthcare provider causes an injury or a fatality, it is imperative for the victims and their families to seek sound legal advice and reliable answers to their questions and concerns. To prevail with a medical malpractice claim against a public or private New York hospital, the victim must show that a doctor or someone else employed by the hospital violated the professional and legal duty of care to the patient. The plaintiff in a medical malpractice case will also have to show that the hospital’s negligence directly caused his or her injury and that the injury resulted in damages – additional medical bills, lost income, unnecessary pain and suffering, and/or the temporary or permanent loss of future earning capacity. When necessary, an experienced Bronx medical malpractice attorney will ask medical specialists, expert accountants, and financial analysts to assess a victim’s costs and losses and to determine the amount of compensation that an injury victim needs and deserves.